Russia’s special forces are involved in the Syrian campaign and have helped with locating targets for Russian warplanes, the general who commanded the entire operation has confirmed in an interview. Col. Gen. Aleksandr Dvornikov is deputy commander of the Central Military District in Russia, and was selected to be chief of Russia’s campaign in Syria, which started in September last year. On Wednesday he spoke of previously undisclosed aspects of the operation in a rare interview with Rossiyskaya Gazeta newspaper. “I won’t deny that our Special Operations Forces (SOF) are deployed in Syria. They conduct ground reconnaissance of pre-selected targets for Russian warplanes, assist in targeting warplanes in remote areas and perform other tasks,” the general said. “Take into account that corresponding forces from the US and other members of the [US-led] coalition are performing similar missions in Syria,” he added. It was the first official confirmation that Russian special forces have been deployed in Syria. The bulk of the missions during the five-month campaign, which was wrapped up earlier in March, were conducted by the Russian Air Force. Most of the Russian personnel in Syria were guarding the two Russian bases in the country and provided logistic support. 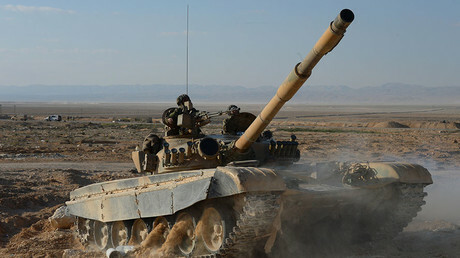 There are also military advisers providing training to the Syrian Army and assisting with military planning. “[The advisers] successfully performed the task of training government forces, Kurdish and other patriotic forces. The fact that our advisers played an active part in planning military action contributed to the progress,” Gen. Dvornikov said in the interview. He added that supplying Russian weapons to the Syrian Army was a crucial component in turning the tide of battle in the country. “To boost the capabilities of the Syrian Army we provided advanced arms and hardware, including artillery systems, communications and reconnaissance equipment,” he said. Russia launched its operation to help the Syrian government in its fight against terrorist groups such as Islamic State (IS, formerly ISIS/ISIL) and Al-Nusra Front at a moment when the Syrian Army risked defeat. “I can tell you one thing. The situation [at the time when the Russian anti-terrorist campaign started] was not in favor of Damascus. Terrorists, who had some 60,000 fighters at that moment, were holding about 70 percent of Syria,” he said. Militant forces were in control of several large cities, including Idlib, Palmyra and Raqqa, as well as some neighborhoods of Damascus and Homs. They were advancing fast in the Latakia province and preparing to take over Aleppo. The strategic road connecting Aleppo and Damascus was under threat too, the general said, while the Syrian Army was on the defensive. “The government forces were exhausted by the four years of action and barely held against the terrorists. Civilians were fleeing the country en masse,” Dvornikov said. Russia helped to stop the terrorist advance and bolstered the capabilities of Damascus, providing air support, arms and military expertise. “Together we destroyed infrastructure and supply lines of the terrorists, took the initiative and started advancing in 15 directions. The militants were forced to cease all offensive operations and disperse their forces into small groups,” the general said. Dvornikov added that Russia’s actions gave hope for an eventual defeat of the terrorists to ordinary Syrians, who rushed to join militias and defend their homes. With Russian air support, the Syrian Army captured about 400 towns in central and southern Syria, and it now controls several strategically important roads – thus significantly extending Damascus’ military reach. Russia indirectly benefited from the military action because many of the militants killed in the fighting came to Syria from Russia and now would not come back, the general said. “In Syria about 2,000 terrorists originating from Russia were killed, including 17 field commanders. This preventive measure ensures the safety of our nation and Russian citizens,” Dvornikov stated. Russia announced the withdrawal of most of its personnel from Syria after the truce between the government and dozens of opposition groups held for over a week. 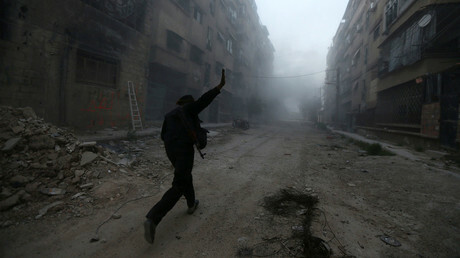 Moscow says the ceasefire now allows Damascus to focus on fighting the groups which are not involved in the agreement. “As of the time of my return from Syria, 43 armed groups and elders of 51 towns and villages pledged to observe the truce. And the number is growing,” Dvornikov said. He added that the Russian military is concerned with the Turkish military’s involvement in Syria, as the country is fighting against Kurd militias. “Turkish artillery shelling of the Kurdish militias fighting against [Al-]Nusra Front in north Aleppo are of concern. These actions are de facto support by Turkey of the armed gangs that are trying to derail the peace process,” the general said. 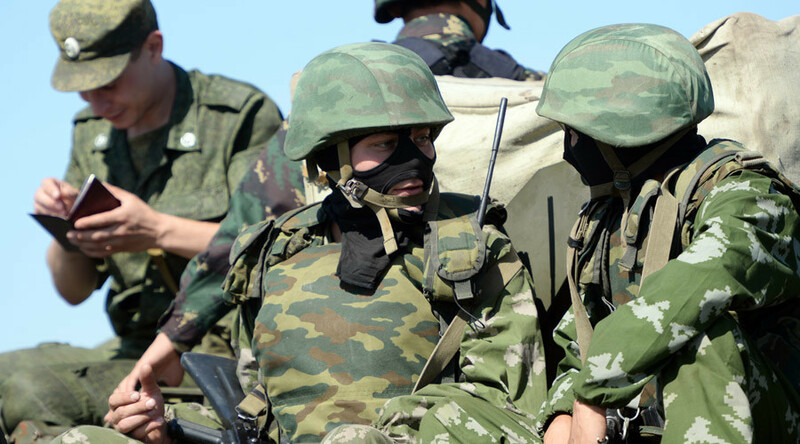 Russia earlier warned that it may redeploy its forces if the violence escalates again.